Proclaiming the truth and the power of the gospel of Jesus Christ with excellency; challenging believers to live victoriously, grow spiritually, know God intimately, in preparation for the coming of the Lord. We’d love to get to know you. Discover more at Advent. Are you new to the Hampton Roads area? Are you looking for a church home? Do you want to be active in a particular ministry? Click on the “New to the Area” link below to fill out a short form describing your interests. Dope Service. Lots of good people and events for the community. Advent is just what I needed. The worship was awesome. I've been looking for a place to really experience more of God. There's a number of placed I've visited but Advent tops them all. I think I found where I belong. Had an awesome time in service today! I will definitely be back next Sunday. Looking forward to it already. I love the love at this house of God. I love the real truth and clarity of the word. I love the Man of God and the First Lady who is really, really sweet, and the family. 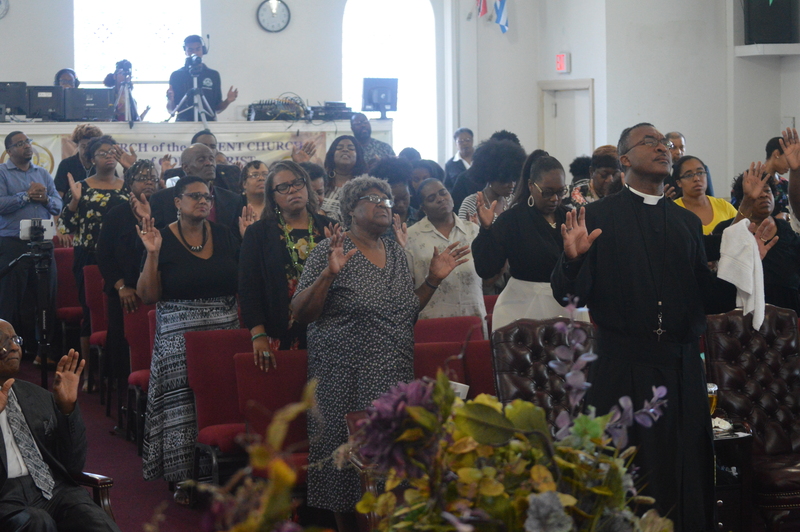 I just adore them all, I thank God for Advent COGIC. The love and respect that I feel for the Bishop, First Lady is truly heart felt. I have been blessed beyond any measure just knowing this family. If you really want to know "What thus saith the Lord", then this is where you need to be.